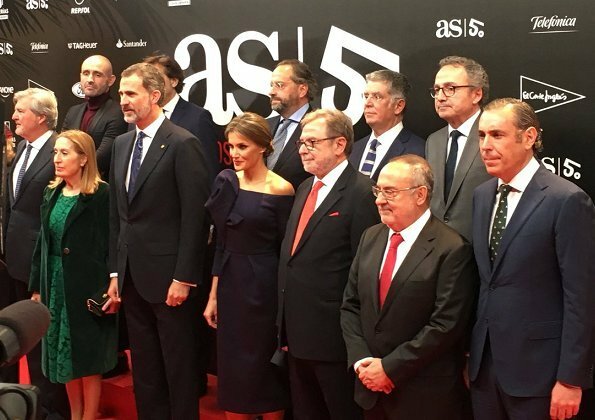 King Felipe of Spain and Queen Letizia of Spain attended 50th anniversary gala dinner of AS Sports Newspaper which celebrates 50th anniversary of its establishment. The King and the Queen also attended the presentation of As Sports Awards. 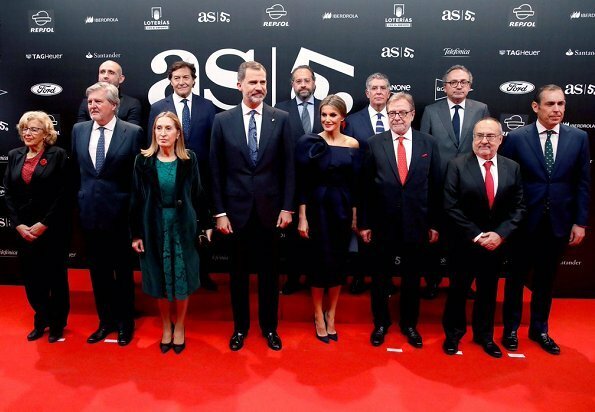 At the gala night, many successful Spanish athletes who were mentioned frequently on the pages of As Sports Newspaper for decades such as Rafa Nadal, Mireia Belmonte, Sebastian Coe, Jose Angel Iribar and Manuel Orantes were honoured. The designer of DELPOZO is Josep Font. Marvellous. Ese vestido es una obra de arte. 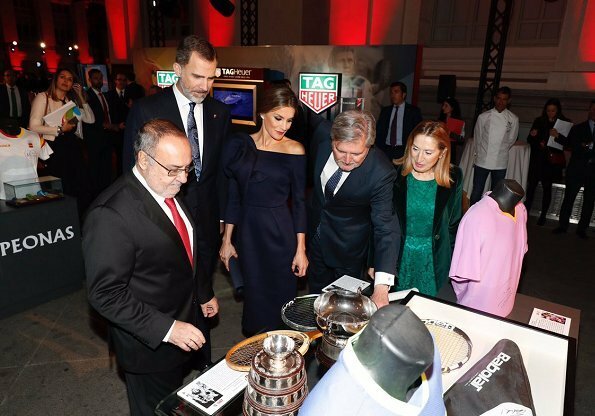 Letizia está maravillosa. Queen Letizia has been critizised in Spain for these continious changes. Who can recognize in this woman dressed with this fabulous design the woman Who wore few days ago the little White dress with ruffles? I do not understand the criticism. The British Monarchy has just shown, very intelligently to my mind, that today, the rules are changing. But if we are so open minded on such important issues, we cannot uphold a Victorian mentality for something as insignificant as the length of the skirt... on a single-day. It would be inconsistent. That´s a stunning look. I don´t like the way the skirt is gathered in those pleats (that would make most people look bulky) but Letizia carries it off. My thoughts exactly, Vanessa. She looks,fabulous! Sehr, sehr schön und elegant. She looks absolutely stunning! Love everything about this look. This dress is beautiful, she looks so elegant. Love it!!!! Very, very nice. Love the balance of the flamboyant flower but sober colour. 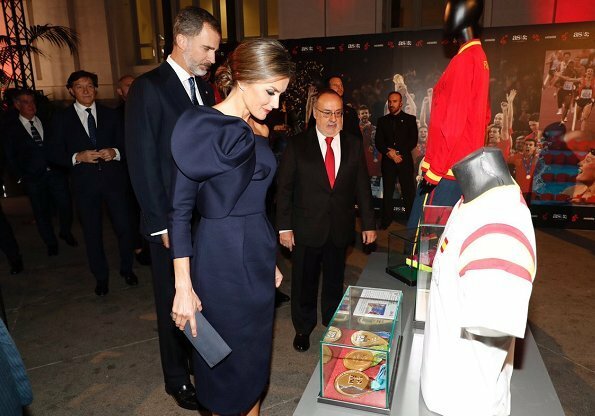 On the model the length somehow looks frumpy but not on Letizia. The hair is fabulous. Total thumbs up!